PTA President, Marilyn Smith presides over PtA meeting. 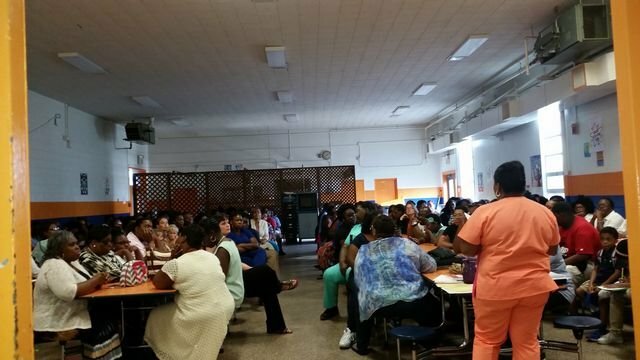 August 15th the Francis Marion cafeteria was packed with standing room only for the first PTA meeting of the year. Parents had the opportunity to meet their children's teachers and discuss business of importance. PTA officers were elected for the new school year. The next PTA meeting will be September 19, 2016. The Price is Right will begin at 5:00 and the business meeting will begin at 5:30. Childcare services will be provided.